See project details for Drive Forward WV roadwork, including estimated start and end dates, highways and roads affected, and more. You can search projects by county, major highway, district, and project status. Place a request to the Highways Response Team for a state road in your area. We are committed to keeping West Virginia roads safe for all drivers through the Governor's Safety With Action Today (S.W.A.T.) initiative. Zoom in on the map and click on specific pins to view information on specific projects. You can keep track of the projects across the state as Drive Forward WV progresses. The Roads to Prosperity program comprises a series of funding measures that, over the next several years, are expected to generate approximately $2.8 billion for highway and bridge construction and maintenance all across West Virginia. 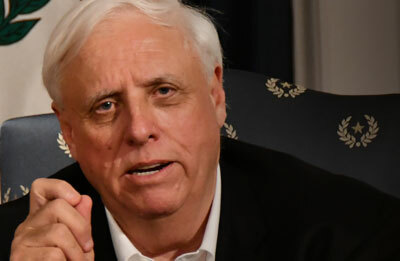 These funding measures include an increase in various fees and taxes that fund a general obligation bond debt known as the Roads to Prosperity Amendment, an increase the state's GARVEE bonding limits, and continued bonding of the West Virginia Parkways Authority's West Virginia Turnpike. Collectively, these funds are deposited into the State Road Fund for use on the state's approximately 36,000 miles of road.